I don’t have a new recipe to share today. Instead I want to share what a blessing my dear son is and what a great cook he is. 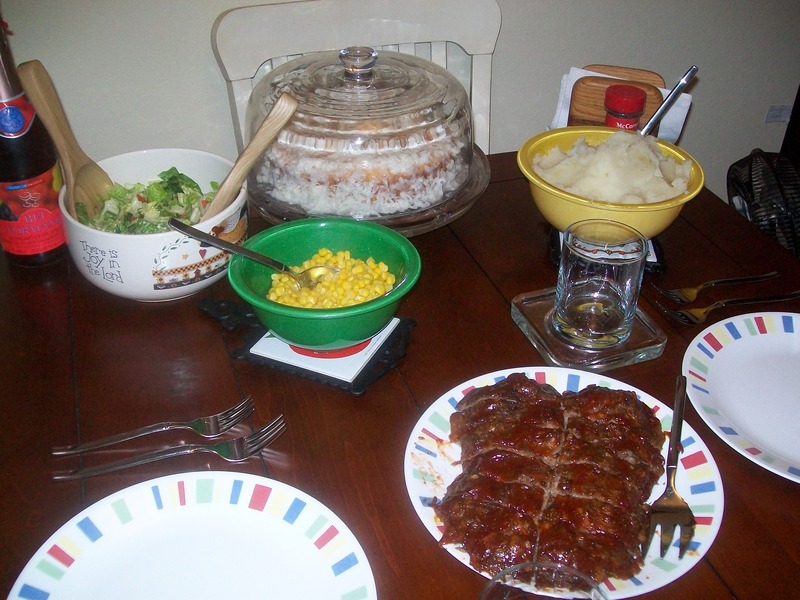 But thankfully for us the final project for this class was to make us a complete dinner, including dessert. We talked about what he wanted to make, tossing around a few ideas. He finally asked, “What do you want me to make?” I picked some of my favorite recipes that I’ve posted here on my blog in the past, some of our family favorites. Part of the assignment was also to set the table, serve the dinner, and clean up afterwards. I would definitely give him an A+! We look pretty happy to be eating this delicious spread, don’t we? This entry was posted in Recipe and tagged Cooking, Eating, Family, Food, Garlic Mashed Potatoes, Gratitude, Lemon Coconut Cake, Meatloaf, Recipe, Recipes, Salad. Bookmark the permalink. Mmmm. It looks like a wonderful meal! And now I’m hungry! p.s. – Thank you for the blog awards! I will dig in and post about them soon. I’m like Linda . . .there is just so much more to this Friday recipe time, these meals shared together, that blesses me. So thank you for all of that, the blessing of sharing your family with us, your love for each other and your love of Jesus! Hi Linda, I’m back–I nominated you for the “Genuine Blogger Award” (no obligations, but hope you’ll be blessed! )–have a great weekend! God bless you. 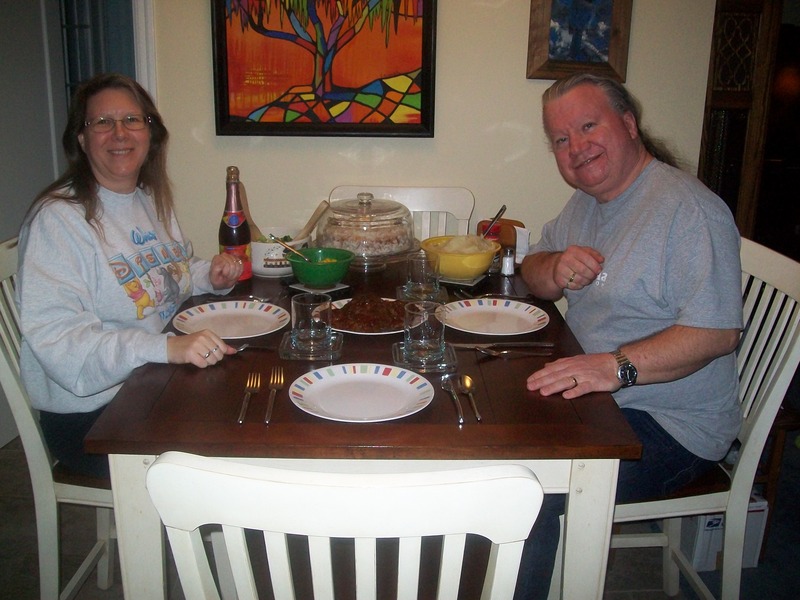 Linda… I always like it when you share your family-enjoying-a-meal pics! I can tell from the photo that this is about more than just the food. Happy for you to be blessed by precious family time and a delicious meal. Oh Linda, this sounds so good–makes me hungry at 10:20 am!! How lovely that your son loves to cook and made you a wonderful dinner! God bless you today.